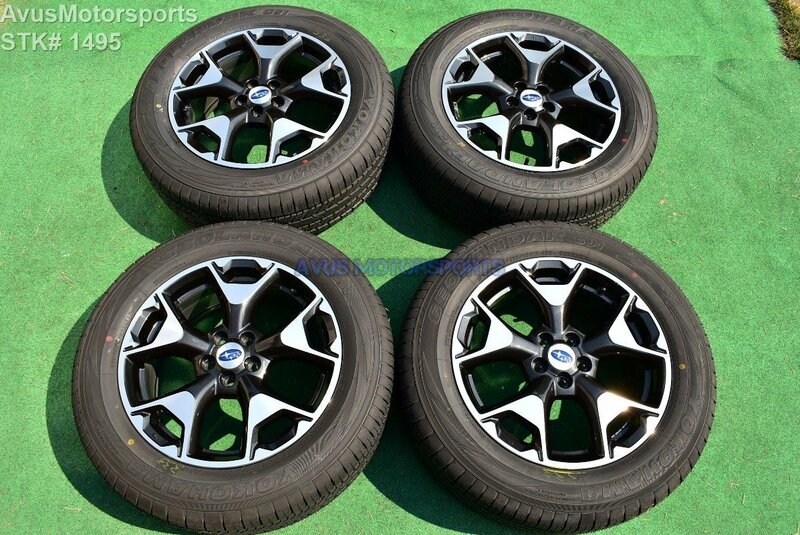 This auction is for set of (4) authentic 2018 Subaru XV Crosstrek 17" genuine factory wheels & Yokohama Geolandar G91 p225/60r17. These wheels & tires were taken off an brand new 2018 XV Crosstrek with <30 miles, they are in like new condition, it was removed because the owner purchased larger custom wheels. Please review all pics!